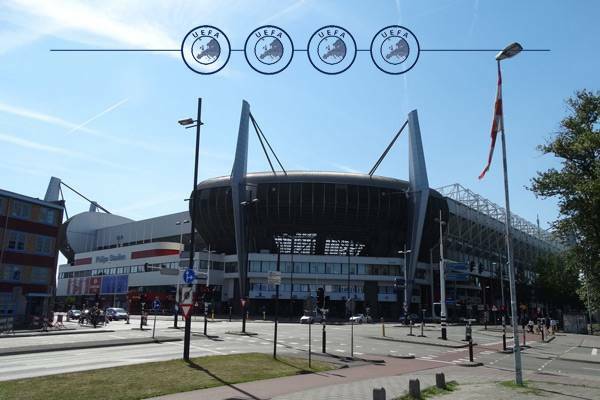 Which stadiums are the best in Europe? All available information suggests that UEFA has a new internal list of elite European stadia, those able to hold finals of Europa League. However, despite our attempts the governing body did not make any such list available to us. For this reason we decided to remind you the last such list published at all. It was updated for the last time in 2007 as far as we know, then becoming invalid as UEFA’s infrastructural criteria were changed. This list shows all stadiums that were (again: as of 2007) ranked as 4-star stadiums. This allowed them to bid for a UEFA Cup final (now Europa League). Later the 4-star rating was replaced by Elite and later Category 4 rating, but in both these cases additional staging requirements were made for tournament final applicants. The most crucial criterion at that time was the capacity of no less than 30,000 people (later raised to 40,000+, with 50,000+ preferred). You may check all of the 4-star requirements of 2006 under this list. 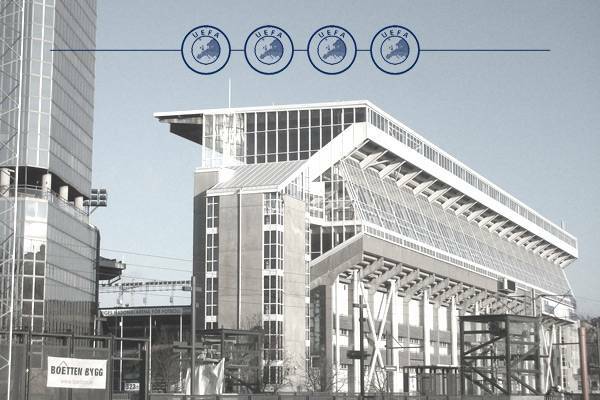 Before you do that, feel free to browse through the 16 4-star stadiums. Since they all meet the same criteria, we decided to list them by capacity. Manchester, England | Long before Manchester City even considered expanding the two end zones, the club and their stadium became hosts of the 2008 UEFA Cup. And no wonder, because the stadium was only 5 years old then and offered some 46,000 seats. 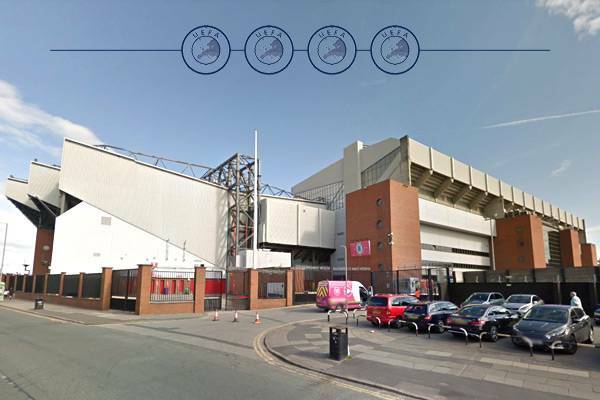 Liverpool, England | Tragic experience of the 1980s resulted in gradual but thorough revamp of Anfield throughout the 1990s. 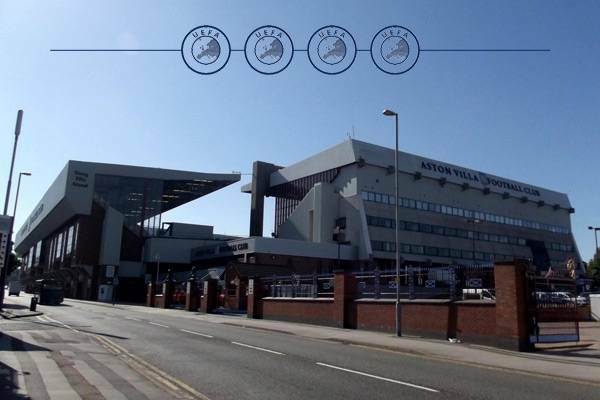 This way, with capacity at roughly 45,000, the stadium received 4 stars from UEFA. No European cup final, but a quarterfinal of Euro 1996. 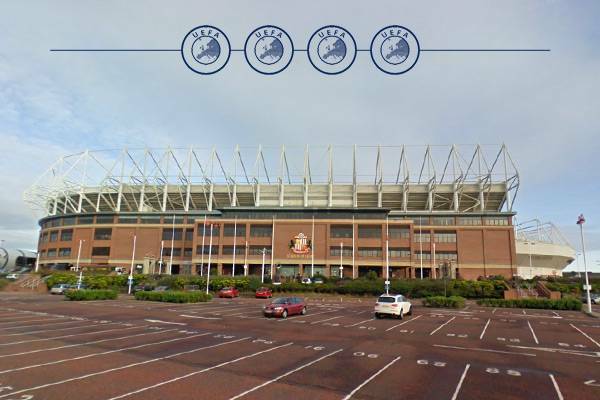 Sunderland, England | It was the largest new stadium to be opened in England in the 1990s. No wonder that it received 4 stars from UEFA, missing just a couple of seats to get the fifth one. 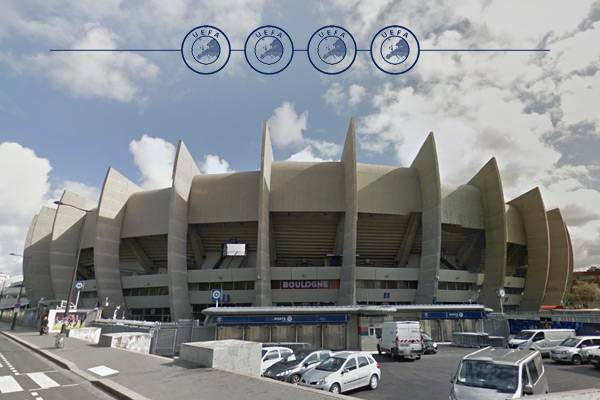 Paris, France | Built in 1970s, the largest stadium in administrative boundaries of Paris was modernized in 1990s, in order to host the 1998 World Cup. This was also enough for the 1998 UEFA Cup final to be played here. 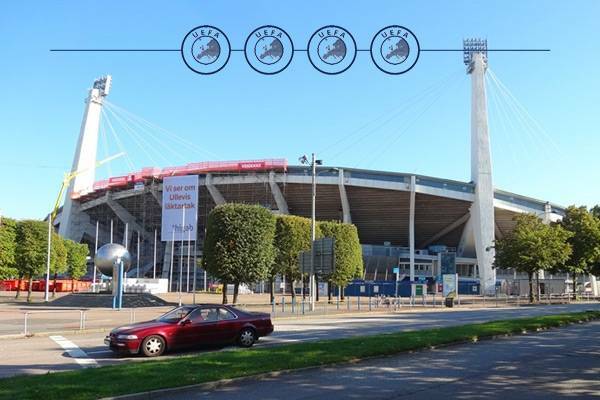 Gothenburg, Sweden | Built back in 1958, the stadium player host to Euro 1992 and that ensured its high quality. With UEFA’s 4-star certification the largest Swedish stadium at the time also hosted the 2004 UEFA Cup final. 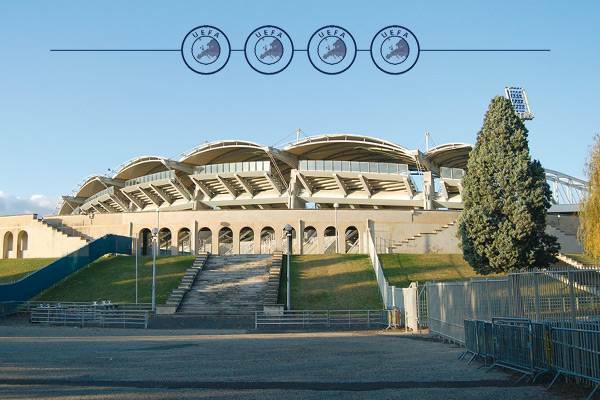 Lyon, France | Ahead of the upcoming 1998 World Cup, in Lyon the old curved stands were demolished and new ones built in their place. Upgraded stadium passed the tests of both FIFA and UEFA, even if it never received an international cup final. Birmingham, England | After series of upgrades in 1990s Aston Villa had one of the best stadiums in England. With UEFA’s appreciation it managed to hold one European final, the very last game of the Cup Winners’ Cup (1999). Copanhagen, Denmark | Opened in 1992, this stadium used to be Denmark’s second largest construction site. No wonder the outcome was impressive enough to hold the 1994 UEFA Cup Winners’ Cup and the 2000 UEFA Cup. 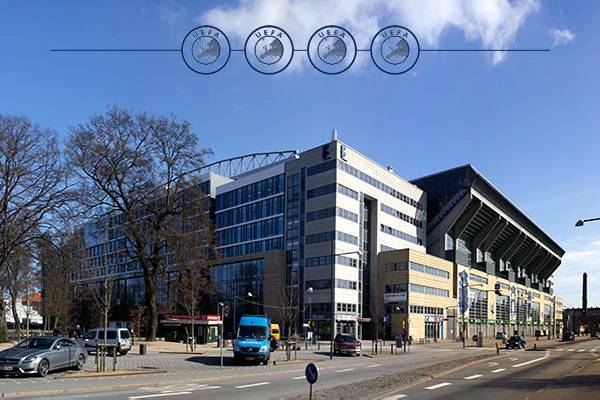 Solna, Sweden | The legendary Stockholm stadium even played host to the World Cup final in 1950s. In 1992 it was also a Euro venue so it comes as no surprise that UEFA found it compliant with all regulations. In 1998 it hosted the penultimate Cup Winners’ Cup final. Since 2012 the stadium is no more. Eindhoven, the Netherlands | After the addition of corner stands and improvement of facilities at the stadium in 1995-2002, the Eindhoven stadium received 4 stars from UEFA. It paid off, in 2006 Philips Stadion hosted one of the last UEFA Cup finals. 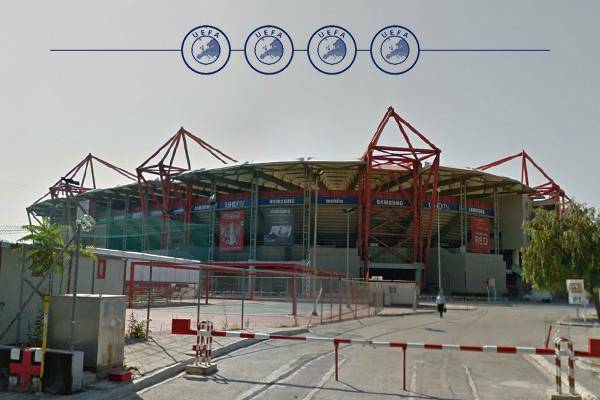 Piraeus, Greece | It’s the largest stadium built in Greece in the 21st century. And since it was delivered shortly before the 2004 Olympics in Athens, it was compliant with all international regulations. But never received an international cup final. 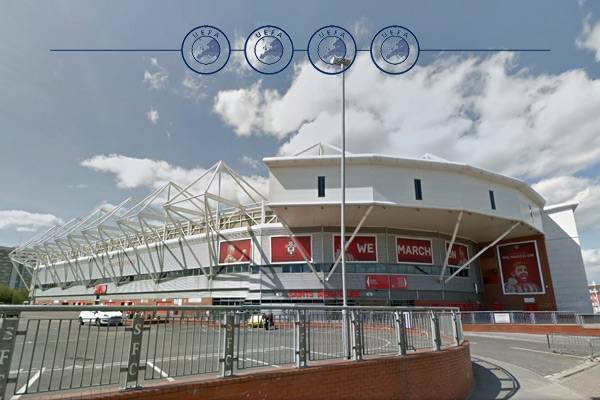 Southmpton, England | Opening in 2001 allowed Southampton FC to be up-to-date with all important requirements from UEFA. Thus the high certification that wasn’t enjoyed by other English stadia of this size. Arnhem, the Netherlands | After inauguration in 1998 it was the smallest stadium to have both a sliding field and retractable roof. 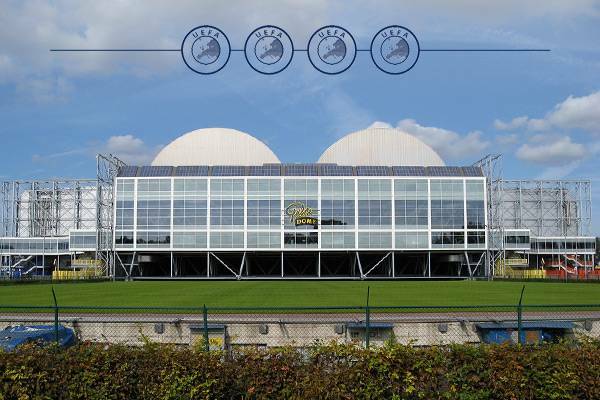 With capacity of 30,000 it met UEFA criteria, but apart from Euro 2000 international football has largely passed Gelredome. To the extent that capacity actually fell to 25,500. Minimum capa city of 30,000 seats. Each seat has to be an individual seat with backrest, benches would not be considered. The field should have the size of 105x68m. Minimum distance between the field and stands of 6m along the sides and 7.5m behind goals. No perimeter fences around the field (moats allowed). Top class player and referee changing rooms (identical standard for each team, lit and bright). Each team changing room should have the surface of no less than 100 m2. Direct, protected and secure access routes for players and referees from the parking lot to the changing rooms and from these facilities onto the field. Adequate and well-equipped room for doping control. Analogically for the UEFA delegate. Floodlights of no less than 1,400 lux for the main camera position and no less than 1,000 lux for other parts of the stadium. Also, backup system of floodlights (or power source) possible to launch at every time and providing the same parameters. Modern and efficient public address system enabling transfer of information both in the stands, under them and around the stadium (doesn’t cover specific rooms for building users). The sound should be clear and understandable, possible to hear regardless of noise level within the crowd. The system needs to be independent of main power supply in order to operate in case of emergency. 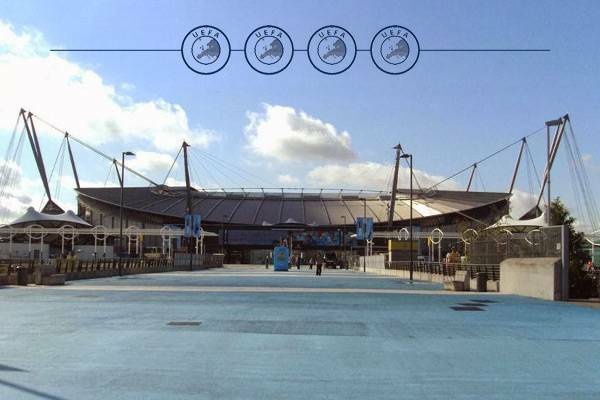 Surveillance system (CCTV) in colour, covering all public areas in the stadium and around it. The system needs to be able to provide clear photos of monitored areas at any time. Control room with monitors for the above-mentioned system, speaker’s position, video board and information. Police and fire departments should have their representatives within the room or directly next to it. The control room needs to provide direct and unobstructed view of the stands. Internationally understood signage in all public areas of the stadium and around it. Minimum of two sections, 50 places each, for the disabled and their companions. These seats have to be covered and have access to well-equipped toilet facilities. Toilets for fans of both genders should be provided in sufficient number and decent standard. Toilets without toilet seats will not be accepted. Highest quality of working space for media representatives, including well placed camera positions, TV studios and other rooms for broadcasting needs. Number of spots for various kinds of media representatives can vary depending on game (details can be found in UEFA Guidelines for Media Facilities). The stadium should offer highest quality of VIP spaces, including a minimum 200 seats within the VIP lounge. Additional hospitality area for 400 people, room to arrange similar spaces for both teams (2x200 seats). International airport(s) able to serve additional 80 charters per day, open 24/7. Sufficient number of hotel rooms for UEFA and its partners, no less than 500 beds (5 stars). Additional capacity of lower grade hotels is also required.